Mr Gasket 738G Thermostat Gasket, 1955-88 Chevy 265-400. 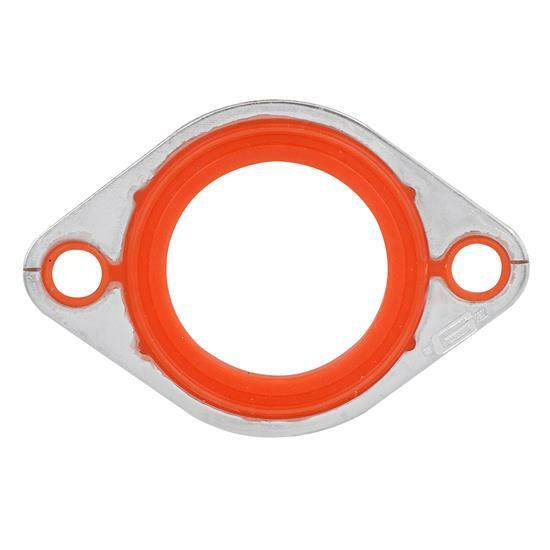 Edge molded rubber water outlet gasket is reusable, great for engines that require constant disassembling maintenance. Incorporates solid aluminum carrier for strength and rigidity. Can be used with OE replacement or aftermarket chrome water outlets. Requires no gasket sealer. Fits Chevrolet 262-400 CID and 396-454 CID 1955-90. This Mr. Gasket water outlet gasket fits 1955-88 Chevy 265-400.